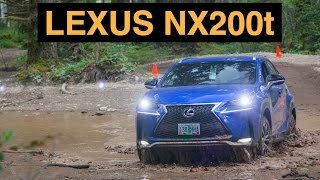 If you have been visiting our website and going through our reviews, you might have gone through our review about the Lexus NX 200t and NX 300h. This new released line-up of Lexus is based on recently unveiled LF-NX Concept and we must mention that it is worth applause. 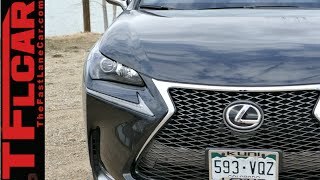 Well here we are today with another star on this badge, the Lexus NX 200t F-Sport with more power and better features. Let us have a closer look to this enter new setup. Interior of Lexus NX 200t F Sport 2015 brings few extra privileges for its buyers in comparison to rest of the models in series. Queue of changes begin with the exclusive sports seats in Rioja Red color. 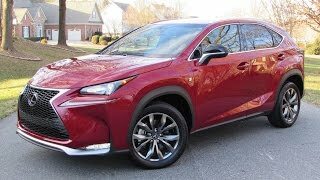 Another attractive grab is the contrasting red stitching in the interior of Lexus NX 200t F Sport 2015 while the perforated F Sport steering wheel too adds to the glory of sportiness. Metallic accents extend from the brushed gear shift and spread the gleam till the non-slip aluminum pedals and footrest. In list of some extra features you have Active Sound Control enabling you to adjust the engine volume echoing in cabin. In all interior of Lexus NX 200t F Sport 2015 undoubtedly brings for you a luxurious sportive experience. Exterior of Lexus NX 200t F Sport 2015 is bolder and much attractive compared to rest of models in its segment. For F Sport 2015 the spindle grille is larger than its siblings while the LED headlights with incorporated daytime running lights remain same. Wheel arches are well covering the 18” inch vehicles with their muscular stance. However bringing major change to your Lexus NX 200t F Sport 2015 comes as an option in your hand, we are talking about the set of 10-spoke wheels with black design over edges and luminous machine-brushed finish wrapped in all season tires measuring, 225/60R18. Second one in this list is different through its design featuring dark metallic finish and high gloss Y-shaped spokes wrapped in 235/55R18 summer tires. 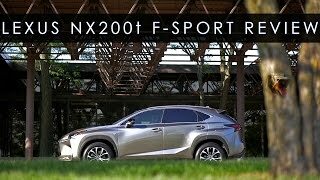 There is no word on the performance of Lexus NX 200t F Sport 2015, however as the name suggests it’ll bring the 2.0 Liter gasoline engine from its 200t sibling with additional sporty power. 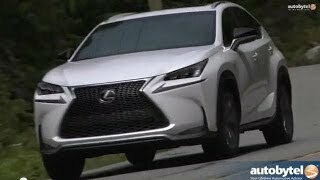 We’ll share the details as soon as they are out, but till then get ready to have a thunderous ride that will compliment the luxuriously sportive look of Lexus NX 200t F Sport 2015.